Sika Pyroplast Wood W forms a carbon char when affected by heat as it uses a water based fire protection coating intended for internal use. Sika Pyroplast Wood W slows the inflammation of natural wood by-products and is comprehensively worked on to ensure protection against flames spreading. Sika Pyroplast Wood W contributes a beautiful option to architects, builders and end-users, all while accentuating the interior composition of timber arrangements. Shields against heat, checks fire, restricts the generation of fire and spread of flame and reduces flue-gas temperatures. Sika Pyroplast system should not be used in areas of high humidity, heat sources or on surfaces where significant physical impact is likely. Silka Pyroplast Wood P is classified to many standards worldwide including EN 13501-1, Bs1d0. SHELF LIFE 18 months, in cool and dry storage conditions and original unopened containers. Substrate must be dry, free from dust, oil, wax, grease, dirt, resin, etc; Existing coatings with poor adhesion have to be completely removed, e.g. with solvent-based paint stripper or to be rubbed down. Surfaces that have been treated with non-acid resistant coatings or release agents such as emulsion paints containing lime, chalk or lithopone should be rubbed down completely. Timber substrates with wetting difficulties should be roughened thoroughly with abrasive paper. If resistance to wet rot, fungi or insect attack is requested, we recommend using commercial preservative agents based on oil alkyd resins provided they are compatible with the Sika Pyroplast fire protection system. Apply Sika Pyroplast fire protection coating system only after the preservative treatment is completely dry. The moisture content of the timber should be below 15%. 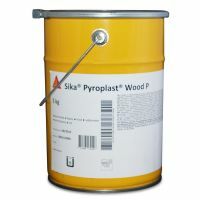 Sika Pyroplast Wood P Primer may be used to allow sufficient adhesion or avoid diffusion of wood ingredients on resinous wood. d0 No flaming droplets/particles in EN 13823 with 600 s; If consumption rates for alternative standards are requested, please consult the Technical Department of Sika Deutschland GmbH. Stir thoroughly, free of lumps. The method of application has a major effect on achieving uniform thickness and appearance. Spray application will give the best results. The indicated dry film thickness is easily achieved by airless spray. In case of an application by roller or brush, additional layers may become necessary to achieve the required coating thickness, depending on type of construction, site conditions, colour shade etc. Prior to application, a trial on site may be useful to ensure that the selected application method will provide the requested results. Above data shall be used as a guideline with variations being made to suit local conditions. Application temperature shall be at least > 3 K above dew point. In case relative humidity exceeds 80% special measures must be taken to prevent the condensation forming while application. At high moisture content of the timber (>15%), the coating is unlikely to dry satisfactorily and blooming may result. Therefore the moisture content of the timber should be, as near as possible to the level it will stabilise at in use. *If higher temperatures occur, please consult the Technical department for further assistance. At approx. + 20° C temperature and 60% relative humidity. Touch dry: after approx. 3 hours. Overcoating: after approx. 6-8 hours. Touch dry: after approx. 6 hours. Overcoating: after approx. 48 hours with Sika Pyroplast Top W.
Touch dry: after approx. 2 hours. Fully dry: after approx. 24 hours. Different temperature and relative humidity’s have an influence on drying time. Ensure that the previous coat is being fully dry, prior overcoating is carried out. The maximum allowed VOC content acc. to EU-Directive 2004/42/EC (product class IIA / g, type Wb) in the ready for use material is 30 g/l (limit 2010). 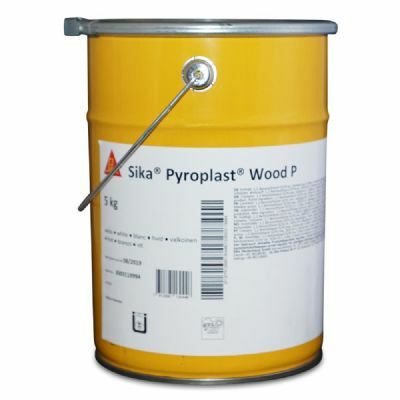 The maximum VOC content of Sika Pyroplast Wood P Primer is 20 g/l VOC. The maximum allowed VOC content acc. to EU-Directive 2004/42/EC (product class IIA / i, type Wb) in the ready for use material is 140 g/l (limit 2010). 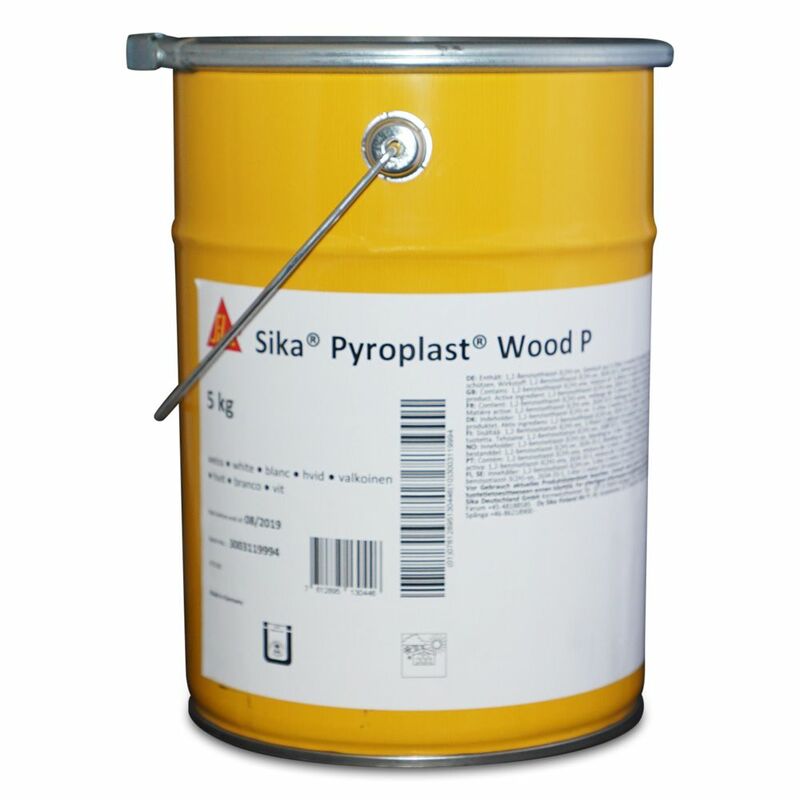 The maximum VOC content of Sika Pyroplast Wood P is 0 g/l VOC. The maximum allowed VOC content acc. to EU-Directive 2004/42/EC (product class IIA / i, type Wb) in the ready for use material is 130 g/l (limit 2010). The maximum VOC content of Sika Pyroplast Top W is < 48 g/l VOC. Please note that as a result of specific local regulations the performance of this product may vary from country to country. Please consult the local Product Data Sheet for the exact description of the application fields. Information on the safe handling of chemical products, as well as the essential physical, safety-related, toxicological and ecological data can be found in the current safety data sheets. Observe all relevant regulations, e.g. the hazardous substances act. Further notes and information data sheets on product safety and disposal can be found on the Internet at www.sika.de. The information, and, in particular, the recommendations relating to the application and end-use of Sika products, are given in good faith based on Sika’s current knowledge and experience of the products when properly stored, handled and applied under normal conditions in accordance with Sika’s recommendations. In practice, the differnces in materials, substrates and actual site conditions are such that no warranty in respect of merchantability or of fitness for a particular purpose, nor any liability arising out of any legal relationship whatsoever, can be inferred either from this information, or from any written recommendations, or from any other advice offered. The user of the product must test the product’s suitability for the intended application and purpose. Sika reserves the right to change the properties of its products. The proprietary rights of third parties must be observed. All orders are accepted subject to our current terms of sale and delivery. The most recent product data sheet applies. This can be requested from us or is available to download at www.sika.de. Please check the availability of local product data sheet at your local website. In cases of doubt the German text is valid.